One of my all-time favourites that despite making a solitary appearance still sticks in the mind. 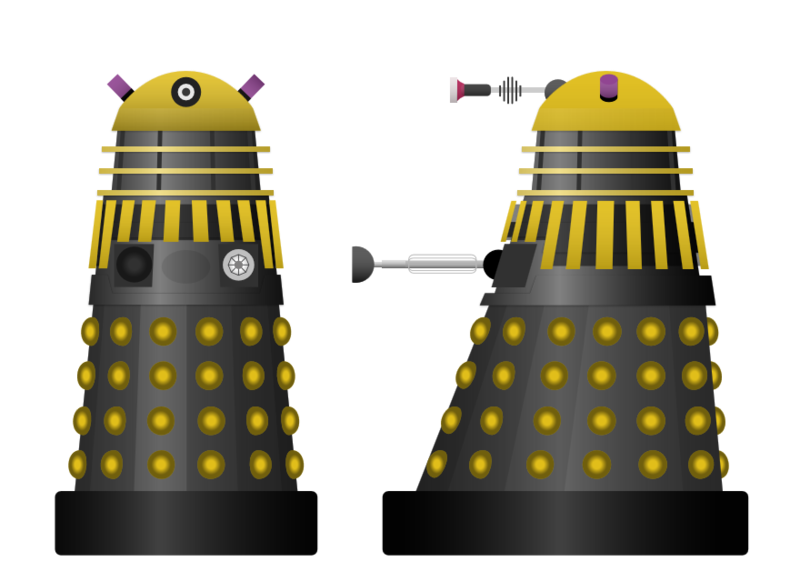 The producers of the classic 1973’s Season 10 Story SSS “Planet of the Daleks” wanted an eye catching leader this time a Dalek Council Supreme that differed from the previous stories (Frontier in Space) Gold Leader and cleverly opted to use one of Terry Nations movie version Dalek props. 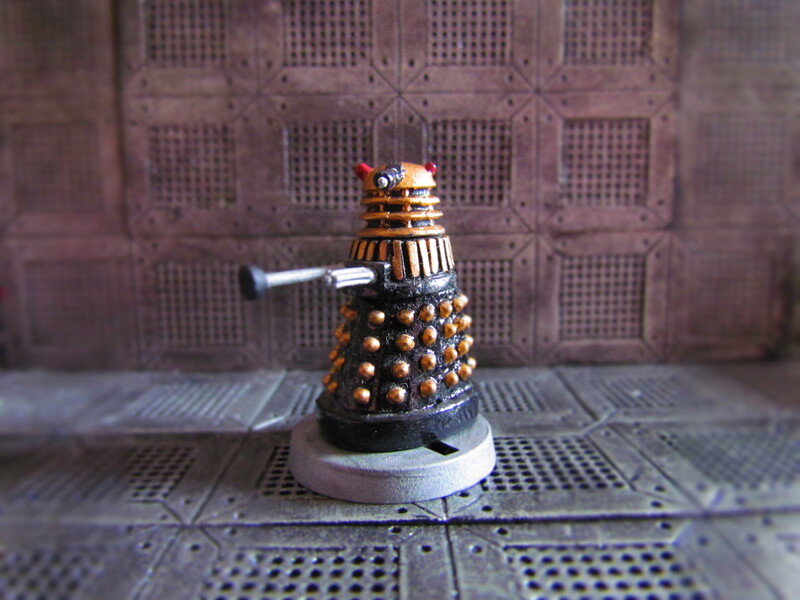 With the enlarged base this model was slightly larger than the drone warriors. It also featured jam jar lights (as oppose the Ford Anglia drone versions) and most interesting of all a torch on the end of the eye stalk that lit up when it talked. Sounds odd but it worked.